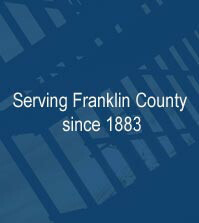 The purpose and objective of the Franklin County Code Enforcement Program is to provide for the administrative enforcement of technical codes, ordinances and regulations adopted by Franklin County. The objective of the program is to benefit the public as a whole and not any specific person. 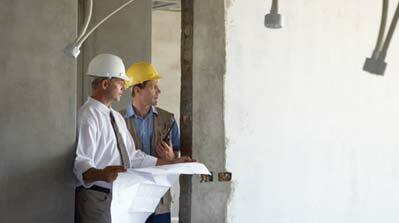 The Planning Department’s Code Enforcement Program, in conjunction with the County Building Department, involves the enforcement of technical codes which regulate the following: zoning issues, site preparation, construction, alterations, moving, demolition, repair, use, occupancy of buildings, structures and building structure equipment within Franklin County. The programs also safeguard the health, safety, property and public welfare by controlling the design, location, use or occupancy of buildings through the regulated and orderly development of land and land uses within Franklin County. If a citizen of Franklin County suspects that there is a violation of the County Zoning Ordinance on a particular piece of property, it is necessary to fill out a “Request for Investigation” form that can be obtained from a Code Enforcement Officer in the Planning Department. Please note that these forms are part of the public record and must be released to any person that requests to see them. However, these forms do not have to be signed, so the person filling the form out can remain anonymous. When Code Enforcement receives a completed form, a Code Enforcement Officer will visit the property in question and conduct an investigation to determine if a violation of the County Ordinance exists. If a violation does exist, the Code Enforcement Officer will contact the property owner and begin enforcement procedures. Please understand that Code Enforcement cannot accept verbal requests. An official written form must be filled out in order for the Code Enforcement Officer to respond to the alleged violation. 1. Fill out our online request for investigation form (Request for Investigation) and return it to our office by E-Mail: mtroidl@co.franklin.wa.us or by regular mail. 2. Visit our office located in the basement of the Franklin County Courthouse (Planning & Building Department), and fill out a request for investigation form. 3. Call our office @ 545-3521 Monday - Friday, 8:30AM - 5PM and provide us with your name and mailing address so we can send a request for investigation form to you, and when completed mail it back to our office. Please note that you will remain anonymous as long as you leave the "Your Information" portion blank on the request for investigation form.